Driving While License Suspended cases have always been a large part of my Practice, and the sheer number of such cases has been rising over the last several years. The economy has prevented many people from paying off or otherwise dealing with Traffic Tickets, which then results in a “FCJ” or Failure to Comply with Judgment” Suspension of their License. 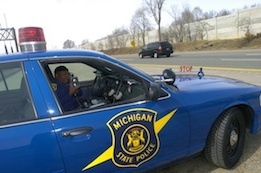 Even those who handle their Traffic Tickets are sometimes unable to pay the Driver’s Responsibility Fees, or what’s known as the “bad drivers tax.” When those Fees are not paid, the Driver’s License is Suspended. There are, of course, lots of other reasons why a person’s License may be Suspended. In this article, we’ll discuss some issues regarding Driving While License Suspended (DWLS) 1st Offense cases, and how that can affect a person’s ability to get their License reinstated. In the next article, we’ll examine how this works in cases of Driving While License Suspended (DWLS) 2nd and Subsequent offense. After that, and as this series of articles continues, we’ll see how all this works in Driving While License Revoked (DWLR) cases. The 2 terms DWLS and DWLR are sometimes confused, and despite being part of the same law, are very different, and carry very different consequences. So, to define our subject here, we’re talking about matters involving Suspended, and not Revoked Licenses, and Parts 1 and 2 of this article will deal with DWLS 1st Offenses. Let’s clarify one more thing; I only handle DWLS and DWLR cases where the charge is pending in a Court in Macomb, Oakland or Wayne County. A recent exception to that limitation only served to reinforce my decision to limit my Criminal Practice to the Tri-County area (this geographic limitation does not apply to my License Restoration or Bankruptcy Practices). Thus, what you read here is how things work in the Detroit area. Some or all of it may apply elsewhere, but I have no inclination or interest in finding out to what extent that is or is not true. Suspended License cases come in several different flavors. Some cases, like those that we’ll be examining in this article, involve a “1st Offense,” meaning that the person charged has no prior DWLS cases. Some people, however, do have “priors,” and the number of those “priors” can range from 1 prior to many. Not to swap war stories, but perhaps the highest number of prior suspensions I have seen on a Client’s record was over 60! Long story about that one, but I kept the guy out of Jail. A DWLS 1st Offense carries a maximum possible Jail term of up to 93 days. Relax, if you’re facing this (at least in the Tri-County area), because actually getting any Jail time is extremely unlikely. In addition, it carries a maximum fine of up to $500 (plus Court costs), and will put 2 Points onto the Driver’s Record. In case that’s not enough, there is a $500 Driver Responsibility Fee for 2 consecutive years. Perhaps worst of all, the Driver will also have his or her License Suspended for a mandatory “like” additional period (which means if it was suspended for 6 months for some reason, and the person gets a DWLS during that 6 month period, a whole new, additional 6 months suspension period will be imposed, on top of and after the original 6 months) if there is a certain, specified period of suspension. If the Driver was just suspended for unpaid Tickets or Driver Responsibility Fees, then they’ll receive an additional mandatory 30 day Suspension for the new DWLS. This means that no matter what else is or isn’t present in any given case, if a person originally lost their privilege to Drive because of DUI, things are going to be more difficult than if their License was Suspended for any other reason. To say that in reverse, if a person’s Suspension results from anything other than a DUI, they’re much better off. I could write for days about why that is, and how that plays out in different Courts, but for our purposes we just need to accept that as a fact, in the same way that Halloween falls on the last day of the month of October. In Part 2 of this article, we’ll review how the consequences of a DWLS can be minimized, if not avoided. We’ll look at the best possible plea-deal that can be arranged in these cases, and how that is done.